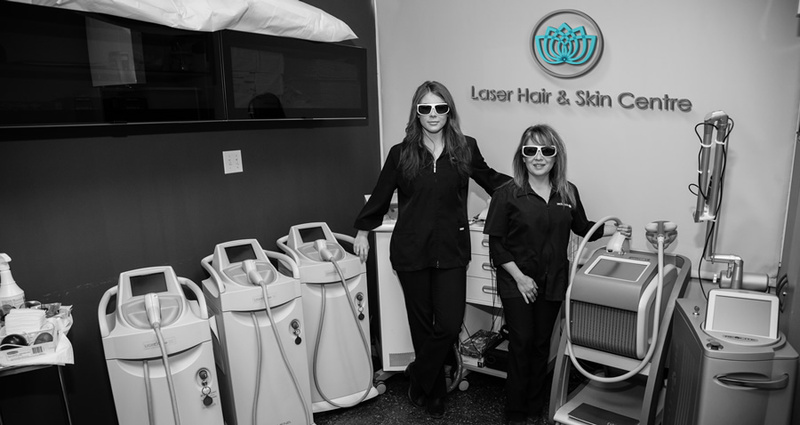 Here at the Laser Hair and Skin Centre our fifteen years of business in Calgary specializing in medical grade laser treatments for the skin and hair removal with our certified technicians makes us second to none in experience and customer satisfaction. At the Laser Hair and Skin Centre we only believe in having the best equipment using the leading technology in: Laser hair removal, skin tightening, tattoo removal, pigmentation treatment, microdermabrasion, and skin rejuvenation treatments. Our medical grade Gold Standard equipment comes from Lumenis, the world leaders in laser equipment and technology, allowing us to offer the best treatments the industry of laser has to date. Our teams of specialized technicians are all fully certified to tend to your needs, for laser or any of our other treatments offered. We pride ourselves on going above and beyond what is required; and since laws around laser hair removal or laser use have no set guidelines as to if and how technicians are trained, credentials and certifications are mandatory measures taken within our establishments. Your comfort and satisfaction is what matters to us. We are here to provide you with the services, treatments and products you require, but also the information, ease and luxury you deserve. From our free consultations with a full information take-home package, to VIP specials and reserved discounts, we put our client first and foremost to assure your pleasant experiences with us.